The new Chevy Silverado 1500 is a capable pickup truck that offers brawny towing and hauling capacities and provides strong engines that help you accomplish any job. 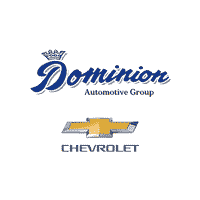 At Dominion Chevrolet, you can find a Chevy Silverado 1500 for sale with Chevy technologies like Chevy MyLink, Apple CarPlay and Android Auto, built-in Wi-Fi from OnStar, and an available rear-seat entertainment system. Explore our Chevy truck inventory online before visiting us near Saint Joseph! And with a bed volume of up to 62.9 cubic feet, the Silverado allow you to bring all your important gear along with you regardless of the job. Whether you need it for work or for play, the Silverado 1500 won’t let you down. This pickup makes everything from camping trips to work trips easier than ever! We look forward to showing you what this impressive pickup can do when you come to Dominion Chevrolet for a test drive!